This building was built in 1940. This chronology is by no means complete and we invite your corrections and additions. From at least 1940 this was Witt’s (later Witt’s Super Valu), owned by August Witt. 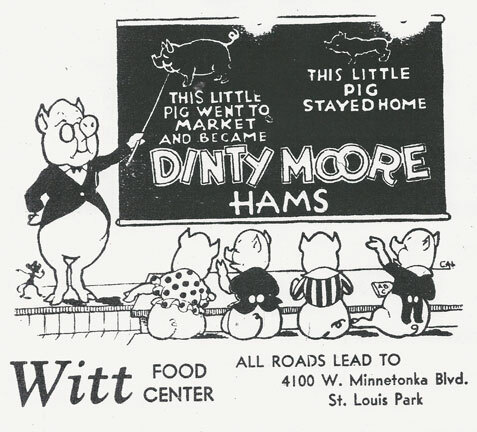 According to the ad below from the 1952 directory, this store was home to Stillman’s, and the meat market (which in those days was usually run by a separate operator) was Carl Ruedy’s Cash Market. Either this is mixed up, or Stillman’s subsequently moved to 4100 Minnetonka Blvd. From 1957 to 2000 the building housed the Lincoln Del. Follow the link for more photos. From 2000 to February 2011 the building was home to Fishman’s Kosher Market and Deli, owned by Stewart Fishman. Fishman’s had formerly been at 4000 Minnetonka Blvd. 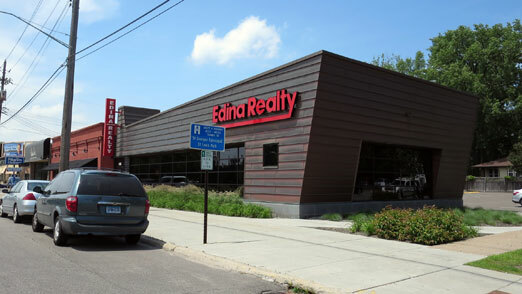 In 2011 Edina Realty leased the building and added a 2,400 sq. ft. addition.